Quite hot, actually, but with enough breeze to make the opening day at the lake a good contest. 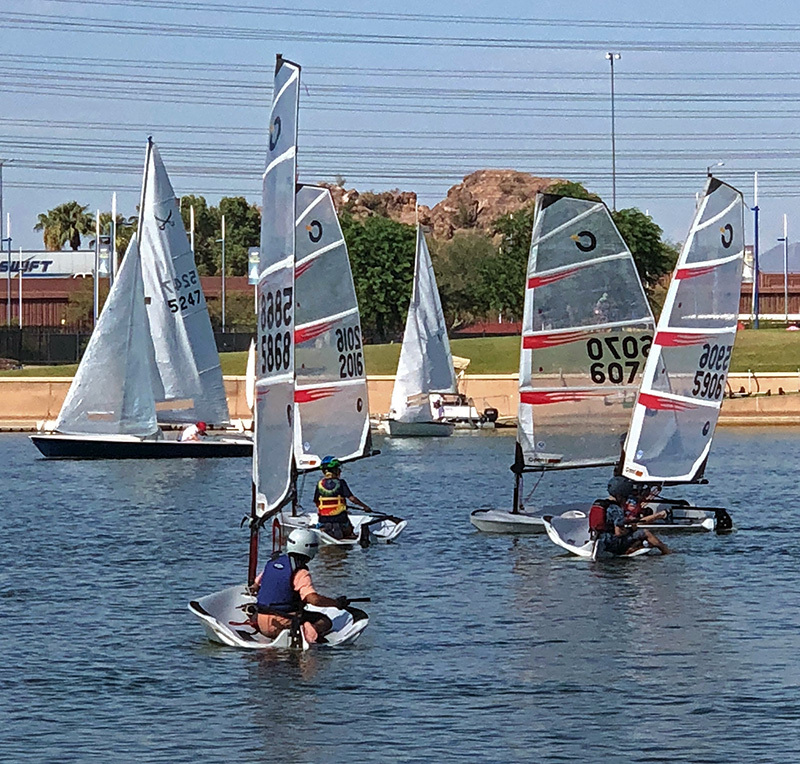 There are some 37 entries at Tempe Town Lake for the fall series, including 10 C14s, 13 Lasers, seven Portsmouth, and six in the new Junior Fleet. The Juniors are sailing in Bics and Lasers under the guidance of Rob Gibbs. Lasers were on race committee duty the first weekend, leaving the rest of the boats to duke it out. Mark Howell has again agreed to crunch the scores for TTL. Here they are. Results of week one of Tempe Town Lake racing. The next race Sunday will be September 30 with Portsmouth on race committee.